Need Ideas on How to Get More Referrals For Your Business? Do you need or want to get more referrals for your business? We’ll help you get referrals from your customers, social media like Facebook, Twitter, Instagram, Pinterest, YouTube, Linkedin, and your employees. Getting referrals for your business isn’t just black and white. You can hope your program goes viral or set expectation and goals, but it takes experience to understand what opportunities are out there, how you can adapt to strategies and think of new ways to expand for growth. I want to start this guide with two well-known referral programs to help us understand and break down how you can get referrals for your business. So how can you get more referrals than ever before? What are your customers’ values? What are your employees interested in? Why are referral programs important for businesses? I want my rewards now! Referral programs are part of the marketing strategies of the most successful companies in the world today. Below are two examples from well-known companies. Dropbox’s customer referral program is one of the best examples of a successful referral program. While their program hasn’t changed, this company has been able to double their client base every three months thanks to their approach. In one month, their users referred over 2.3 million new users. This means the company was able to save money on ads and not spend as much of their marketing budget. Their approach is to give away 500MB of space to new users who are referred, and the existing user also gets 500 MB of free space. Both parties also get free upgrades. Airbnb began with a $100 reward for users who signed up new customers. Over time, the monetary value has fluctuated, but they have continued to give gifts and increase referrals. Their current refer-a-friend program involves getting $40 in travel credit when someone signs up, and an additional $20 once the new referral completes a trip. As you can see, they track the new customer’s journey as well as that of the existing customer. Airbnb has also created a referral program that allows users to refer their friends with extra bedrooms or residences to host on Airbnb. Only time will tell if they will launch a referral program for experiences or events and other products. Want to learn more about How Airbnb does their referral program? There are multiple reasons as to why people don’t join your referral programs and why most people fail with their referral program. It could even be that you aren’t paying attention to what your competitors do. As Oren Greenberg says in his article for Kurve, “you should always analyze your competition’s growth strategy at this stage and set some benchmarks. Have they implemented a referral program? If so, can you spot their methods in detail?”. It’s clear that most businesses do not ask their customers for referrals. Where the effort to ask is made, sometimes there lacks tools and processes to help with referral requests. Asking may be the simplest thing to do though. The real question is, are you asking the right questions? If you want to learn more on how to ask the right question, you can check out our other article: How to ask for referrals and unlock potential sales. You might make your customers uncomfortable or push them away by asking for a referral immediately after a purchase. But if they had a positive experience, you can request a referral. This means that an automated system to monitor your customer after-sales journey is ideal. We will look at this in more detail a bit later. You could also completely throw that strategy away and make sure they refer as many people as they can as quickly as they can, giving them incentive to use or purchase your product or services. 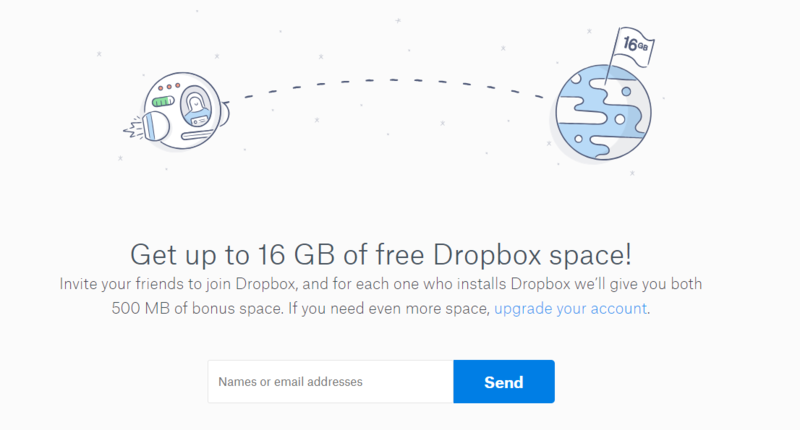 Just like Dropbox, they might immediately gain potential new customers’ attention by offering 16GB of storage just for signing up. 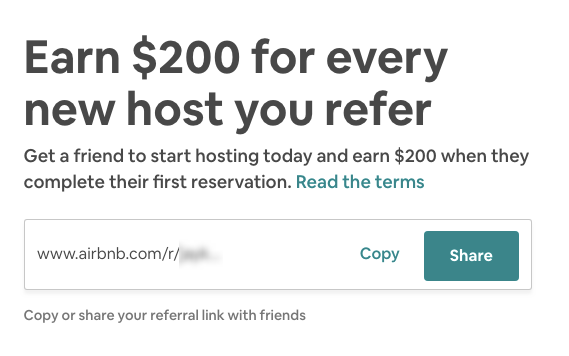 Or like Airbnb, you might create a referral program funnel so that customers have the time to both refer someone to book a night using Airbnb and to also refer a host at their leisure. Whatever you decide to do, be sure to establish these goals early so you can optimize and grow your referral program. One of the best places to put your referral link is on the user’s main menu screen in their account. This way, they will see it every time they are using your platform. 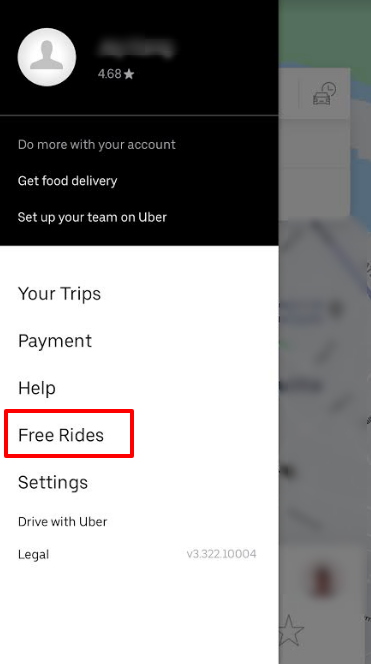 A good example here is Uber’s referral link. Make the CTA clickable by adding an emotional appeal. For example, an email subject line from Uber reads, “Show your friends that you care”. The first word of the subject line is the user’s name. This CTA appeals to the user’s emotions as they would indeed want to show their friends that they care about them. 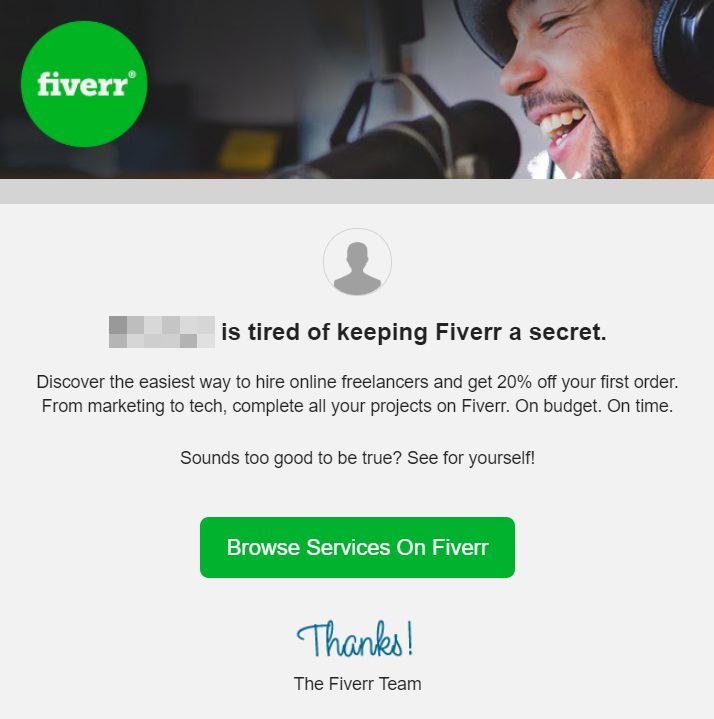 Using the user’s name personalizes the email, making it even more likely for the user to go for the referral offer. Want more examples of great referral program headlines? You need to build your network beyond your industry or niche. Network with other businesses in related niches. If, you are a wedding photographer, you may want to build networks with wedding and event planners or people in the decor space. This way, the people in the other businesses are likely to refer clients to you (remember, it is also good to return the favor!). It’s crucial that any business offers top notch customer service from the first point of contact. Whether that is remembering to greet customers, answering their questions politely, or going out of your way to fix a specific problem. This way, a customer will note the great service and will look forward to sharing their experience with others. Always show your appreciation for the effort made by your customers in bringing you more business. As we have seen in the previous examples of Uber, Dropbox, and Airbnb, a customer referral incentive program will come in handy for this. Creating one-time versus recurring rewards or tier or stages of referral reward incentives might also be an idea you’ll want to explore. Here are some more best referral program ideas. Convincing your customers to promote on their own accord isn’t a black and white process, and success is based on your execution of the referral program. Putting things into practice and knowing where and how exactly to implement your strategy can make or break your referral program’s success. Identify your customers’ values. Look for opportunities to elicit a positive response. Act on positive feedback. If your customer had a great experience with you and/or your product, and they’ve expressed positive reactions, they are more likely to agree to refer others. Building customer relationships require a ton of work, which is why we’ve written the ultimate guide to customer relationship marketing to support you and help you exceed at customer support. Providing different referral options can also help increase your referrals. Airbnb has both refer-a-friend and refer-a-host program. 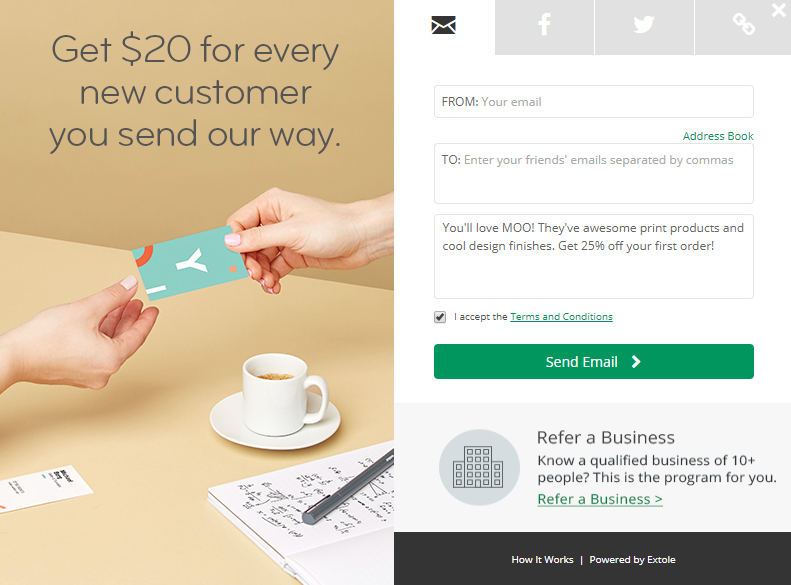 Here’s another example from Moo, providing an option to go b2b compared to b2c (note the link in the bottom corner). While creating positive customer advocates is one thing, you shouldn’t expect them to come up with words or reinvent the wheel. Give them the confidence to refer your referral program by providing them the words. Using referral program templates is a great way to achieve this. Provide several options for places where they can promote too. They can decide which social media outlets or opportunities to use. While you might give them several options, such as SMS, Instagram, or Pinterest, you should also provide some custom approaches to each channel. 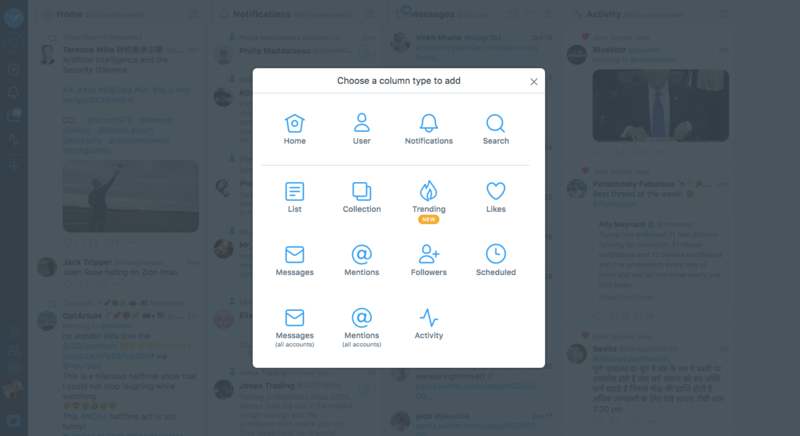 Whether you tweet, post it on Facebook or send it via email, use the space available to provide the best optimal conversion message for your customers to share with their friends or colleagues. Now that you understand the basics of getting referrals, let’s discuss how to encourage your existing customers to refer new ones. Let’s look at how to use different social media channels to get even more referrals for your business. What makes Facebook a powerful referral marketing tool is the fact that when someone shares a recommendation of your brand, it shows up on their friends’ feeds. You can start with your email contact list. Invite your contacts to like your business page. Once you do that, you should engage them professionally. If you are a gym membership, you need to position yourself as an expert by sharing insights from your line of work, providing advice for people seeking a healthy lifestyle, and maybe even offer discounts. You can also post testimonials of happy customers to your page. Note that the testimonial could be as a simple as a positive photo taken by an existing customer. Encourage your customers to share content you’ve created and ask them to share your Facebook enriched content with their friends and families. We mentioned contests as one way to get referrals from Facebook. Contests must have a good incentive, like free tickets to an event for someone who refers friends. You may want to showcase the winners at the end of the contest (of course with their consent!). Adding a banner on your site may also help with promoting the contest. Facebook groups are a great way to collaborate and coexist with a wide spectrum of businesses and opportunities related to your industry. Your potential customers are likely to be members of these same groups. Facebook groups for brides-to-be will bring together photographers, wedding planners, sellers of bridal merchandise, brides, and former brides. Former brides are highly likely to share their experiences and offer advice to brides-to-be. If you have previously worked with a bride, you can request that she share her experience with the group. You also need to be very active and respond to concerns raised by future brides. This way, you remain visible. The brides that you have worked with are highly likely to give you referrals (especially if you did a good job). It would also be great to request people in your network to join your groups, as they will always be your advocates. 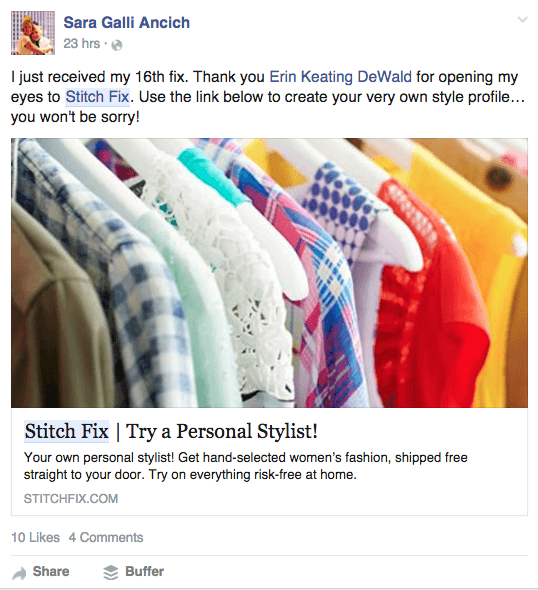 Encourage your customers to share their referral link via social media platforms like Facebook. In such cases, the reward may come when their friends sign up for your service or purchase a product. You can also add the referral link on your social media pages’ bios to get your customers interested in referring in the first place. Twitter tends to move much faster, so you must stay on top of and respond to all mentions and opportunities in order to maximize your referrals from Twitter. You might want to use TweetDeck or Hootsuite to monitor and participate. LinkedIn is also a great place to look for referrals. Here are a few tips on how to do so. The connections you should prioritize are your 1st-degree connections. This is because you can see their connections, too. See who your connections are connected to and identify at least three people that fit the description of your ideal target customers. You should then request an email introduction from your 1st-degree connection. 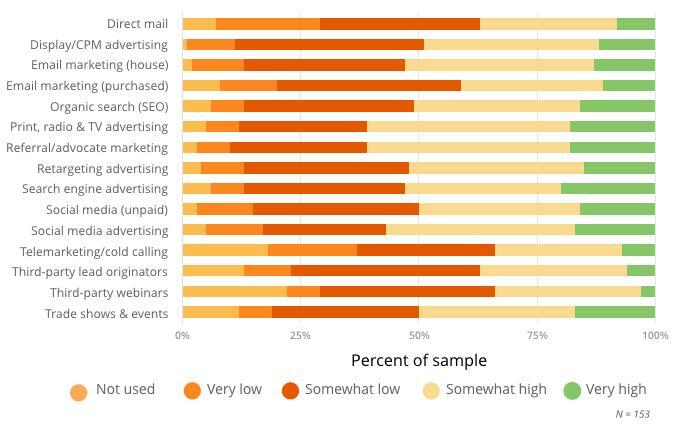 At least half of LinkedIn users buy from a business that they have interacted with before. Joining LinkedIn groups that are relevant to your niche and participating in discussions while offering valuable insight are good ways to interact with potential clients. It may seem unexpected, but you can get referrals from YouTube as well. And since it is such a popular platform, it makes total sense. One way that you can get referrals from YouTube is by promoting your referral link. If you create a ‘home cleaning hacks video’ offering your professional cleaning services, you can add your referral link in the video’s description and ask your viewers if they know anyone who might be interested. Remember that only the first three lines are actually shown to your audience without them having to click “show more”. Make sure that your link can be seen on at least line two. You can also add your referral link on the top left corner of your video, just to make sure that viewers actually see it. First, run an influencer campaign. You then need to include a referral link (as previously mentioned). A good example here would be Adidas, where favorite stars were interviewed and answered their fans’ questions via virtual conferencing. The next step would be to add a referral link for friends to buy Adidas shoes. You may ask your customers to video those moments when they are using your product. For instance, they could record their first encounter using your blender or discuss some of the things they liked about your product. You can then upload these positive videos on YouTube with a referral link. Instagram can have a more personal approach than Facebook. This also depends on where your niche audience hangs out. You can directly ask for referrals through Instagram from customers who comment after a great experience. 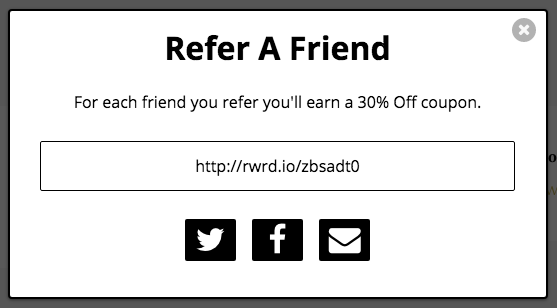 You could also do this by sharing a link to your referral program via DM. 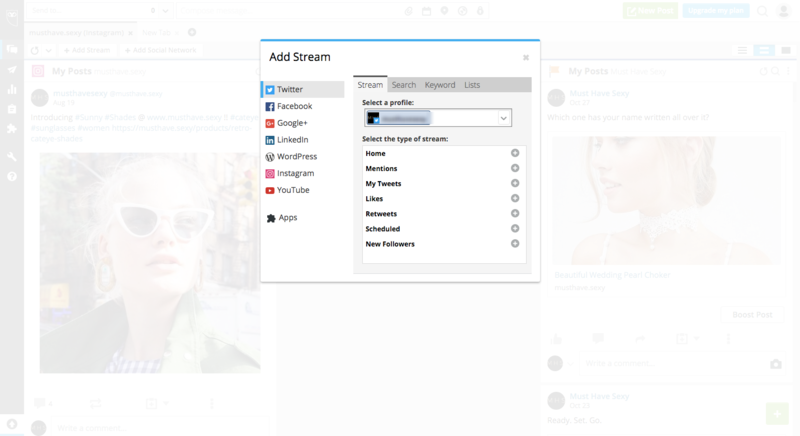 You also want to reach out to influencers, promote user-generated content. Whether you use paid partnership or develop a relationship for influencers to create user-generated content. Or asking your customers and help promote their content by posting on your Instagram account with their referral link. In the end, it’s all about collaborating so benefit both parties. Pinterest has a cult-like following. And have users of many varieties. Some businesses do particularly well on there and have found a way to maximize their marketing campaigns. It is rare to see pins showing prices on Pinterest. This is the first step toward getting referrals. When you add a price to your product and then add a referral link in the description, customers are able to see the value that you are giving them and are more likely to buy the product and refer others. 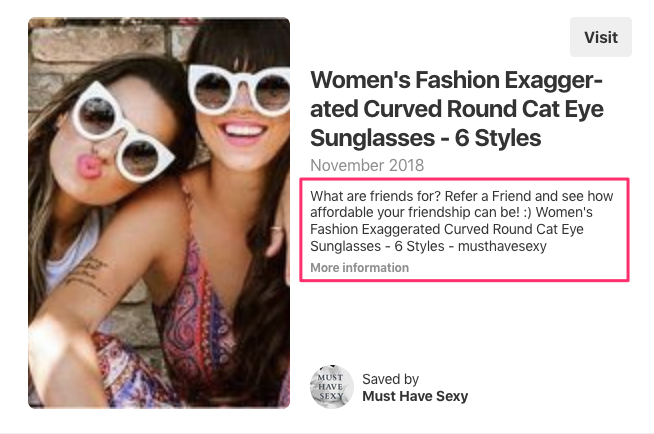 Here’s an example from a sunglasses for women store. Your price tag is $40, and a customer can get $5 coupon for referring a friend. 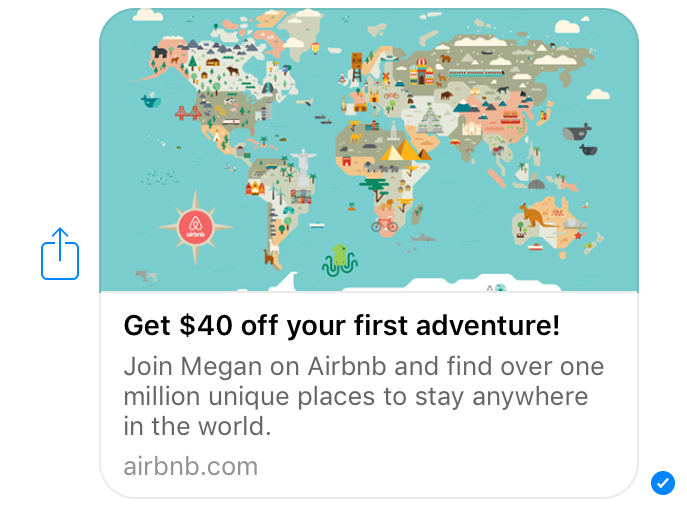 They will definitely want to get the discount, but would they want to refer a friend? Note: Be careful not to make every pin promotional. Also, you might want to add that into your product description so that even those who are not using Pinterest will also see it. If you send out a monthly newsletter, ensure that you include screenshots of your best pins. Verify that they are clickable and link back to your Pinterest account, where potential customers can easily spot your referral link. Join group boards that are relevant to your niche or those that your potential customers are highly likely to be a part of. Be active on the group board and offer valuable insight. You will begin to gain some influence and can give discounts to customers who are also members of the board. Once you have given such customers discounts, you then need to request referrals from them. They are likely to say yes. Simply share the referral link or code. A business account allows you to track your performance and identify potential link referral sources. You sell hair products, you can ask customers to share pins of their favorite hair tips. Have them add their referral link to their posts. Better yet, give an incentive to those customers who actually share their pins and also ask them to share their referral link each time they share a pin. You can run a simple contest as an incentive for customers. For instance, you can ask customers to share their favorite pins and reward the person who gets the most votes. The winner will have asked his or her friends to vote; the voters then become indirect referrals. You could further drive this campaign by giving all participants an opportunity to refer their friends and get a reward for themselves and their friends. If your site allows customers to leave reviews, you can begin conversations around positive reviews. You can configure your site to deliver a “thank you” message and inform them about your referral program. Remember to make the message personal, such as using the reviewer’s name. According to Zendesk, 88% of buyer decisions are influenced by online customer service reviews. You’ve trained your employees so that they know more about your company than anyone else. Help foster employee advocates by using an affiliate type of referral program to help encourage them to promote the company. Some might be hesitant but if you offer a small incentive they might be up for it. Obviously, you don’t want anyone to abuse the referral system and steal money. Such as an employee working in customer support using their referral link to sign up a potential customer. But, you can create rules and regulations and track what’s going on. So why not have your employees help promote the business? If you sell goods in a physical location, you could encourage your staff to ask customers, especially those enthusiastic about your brand, product, or service, to join your referral program. Your employees can help identify advocates who will lead to even more referrals. Being in retail, your job is to foster customer satisfaction. If you have a survey or feedback system, your employees might get mentioned in an email blast and the reward is what helps motivate your employees to be more proactive. Help identify your employees’ key strengths and weaknesses so that you can maximize your referrals. You can encourage your employees to create content, such as articles in which they get to share their expertise on a particular matter. Moz and Hubspot, for example, have a lot of content created by their staff members. This approach ensures that site visitors get value at all angles. In the articles, they should show your product as the preferred one. The content could be how to use particular features of your service as well. Include a referral link on the pages where such content is featured and shared. Your Google Analytics can show you the sources that bring in the most referral traffic. You should follow up on the sites that bring you traffic by requesting a chance to guest post (always write about your niche and always have bylines) or mention them on your social media platforms and they will (hopefully) return the favor. Influencers that are closest to your niche are great referral sources. 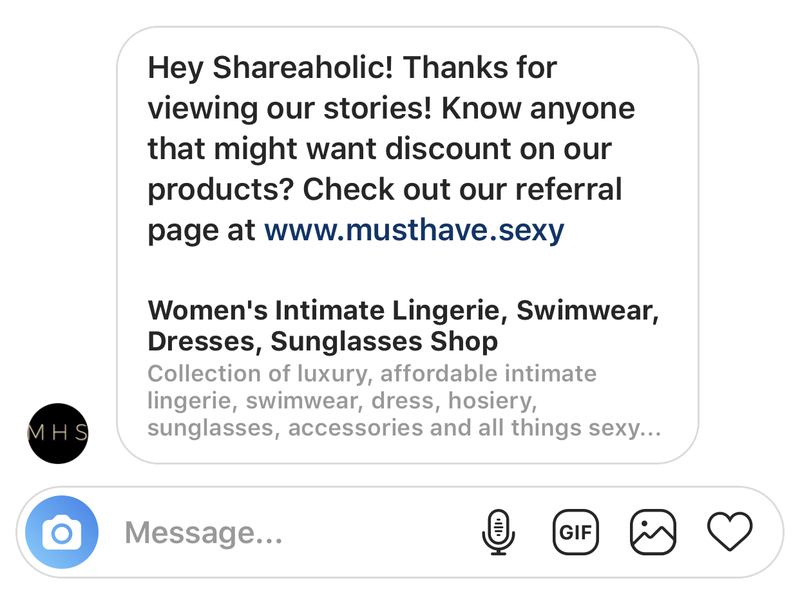 You may actually pay them to talk about your product or review it and, in return, reward the customers who sign up using the influencer’s link (for instance, offer them a discount). Is building your own referral program something you should invest in? There are a few things that require effort on your part. Before choosing the right referral program software, let’s break things down to help you justify the cost, effectiveness, and comparison with other marketing strategies. Report by Forrester titled “B2B Buyers Are Behaving More Like Consumers Every Day“, seeking the opinions of friends and family before making purchase decisions has become characteristic among B2B consumers, just as it has been among B2C consumers. Discussion forums like Quora, trusted public figures, favorite bloggers, social media influencers, and your customers all play a role in this shift. Referrals cannot be ignored as a marketing channel. Whether your focus is B2B, B2C, e-commerce, or something else entirely, digital marketing is bound by word of mouth. 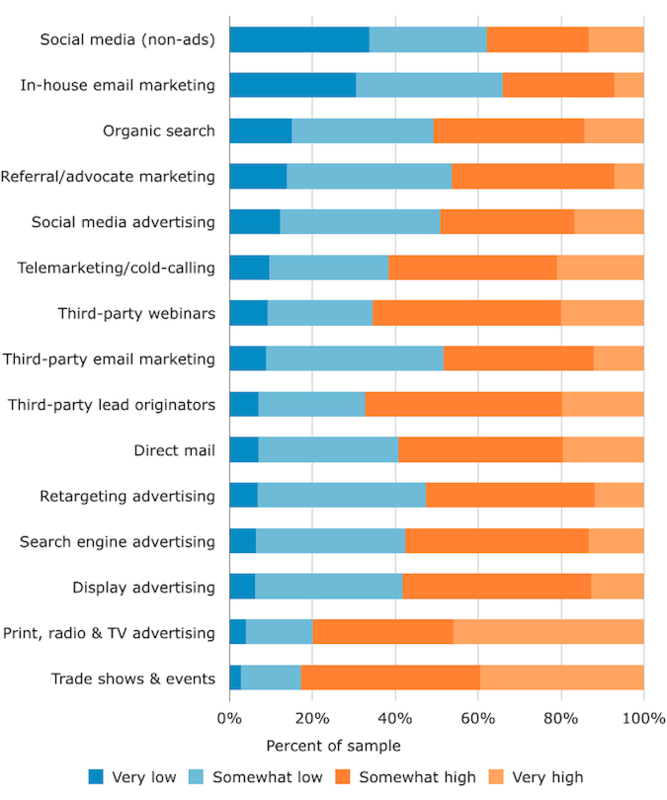 78 percent of marketers singled out referral marketing (also known as “advocate marketing”) as producing “good” or “excellent” leads in 2014. In 2017, referral marketing received a 63 percent rating in terms of “very high” and “somewhat high” quantity of leads and a 68 percent rating in terms of “good” or “excellent quality” of leads, receiving the highest number of positive ratings overall. Referral programs are way cheaper than other customer acquisition methods such as email marketing, social media, and SEO. It’s possible for them to sometimes even incur no costs at all. At the core of referral marketing is word of mouth. Since a high level of automation is required for a referral program to run efficiently, the main investment in terms of cost is the software that runs the program. Referred customers spend 25% more than customers who are not referred, according to the Journal of Marketing. In this study, referred customers had an average order value that was 35% higher than customers acquired via other methods. Referred customers are also more likely to make repeat purchases. This would apply more to the SaaS businesses. “Churn rate” refers to the annual percentage rate at which users stop subscribing to, or unsubscribe from, a service. Referral programs help reduce the churn rate and increase retention rates. This is because of the element of trust, where a customer was referred to a company by a trusted person. Customer lifetime value can be defined as the amount of financial benefit a company is likely to reap during the period of their relationship with a customer. Referral marketing is a good strategy for this since it increases lifetime value by 16% when compared to other strategies, according to the Wharton School of Business. Referrals are more optimized since the person being referred will probably have expressed an interest in the product or service your business is offering. They may not only be interested but actually be in dire need of your product or service; they are looking for a solution to a problem which a friend or family member helps solve by referring your brand. They are, therefore, willing buyers with a budget. Referrals result in a sense of accomplishment due to their exclusivity, especially to the referrer. Not everyone is privileged enough to receive the reward that comes with referring a new customer to a business. Since your customers want to feel this sense of accomplishment, they are extremely willing to participate in your referral program. This ultimately can result in customer loyalty when they notice that they are noticed and rewarded for their efforts. When choosing referral software, you need to think about how to promote a referral program in addition to what we have already seen (promotion via social media). If you use automated payment confirmations via email, for instance, you can add a referral link in the body of the emails. This means that you should go for referral software that can be integrated into already-existing systems to allow for further promotion of your referral program. You may want to integrate your referral software with your CRM or use a conversion pixel. This way, you will be able to interact with the customer during every step of their sales process. When the time comes to request referrals, you will already have developed a relationship with them; they are highly likely to participate in your referral program. You want to go for a software that factors in how to generate referrals from existing clients. Go for software that can identify clients who have been inactive and send them reminders to refer other customers. You may also want to send reminders to the customers who did not complete actions. Your referral software should be able to automate your reward system. The reward can be issued immediately after a successful referral, after a set waiting period, or sent in bulk on a specific date. The tool should also help with customer support. Listen to your customers’ feedback and adjust as necessary. By the time you are thinking about how to ask for referrals from existing clients, you have had several opportunities to interact with them pre-sales and post-sales. What you need to be careful about is consistency in your messaging. Pass the same message across from the beginning, even when asking for referrals. This should be seen in the images and text that you send out. You have been communicating the fact that your company sells eco-friendly products. The same message needs to be put across even as you ask for referrals. In fact, you may work around that to create an emotional appeal in your referral requests; for example, “help us continue to conserve the environment by referring a friend”. How does this tie into choosing referral software? You may want to choose software that uses templates for instance. This way, your images, logos, copy, and even client name are always in the same place. If the software incorporates email notifications, they should always be consistent in messaging, structure and use of graphics. Consider other aspects, like the point at which the reward will be given (and for what action), what the exact reward will be, how easy it will be to share it, and who will be rewarded (is it both the referrer and the new user, or the referrer only?). Once you have figured out all the details of your referral program, you can go for the referral software that best suits your needs. Remember that the size of your customer base will determine how quickly any referral program works.- If you only have a few customers, you cannot expect to gain a million customers after one month of using referral marketing. You will eventually get there, though, but it is good to have reasonable expectations. Read more about your expectations regarding referral programs. We have looked at ways to increase referrals in general and the need to utilize a referral program. A referral program is one of the most creative ways to increase referrals.